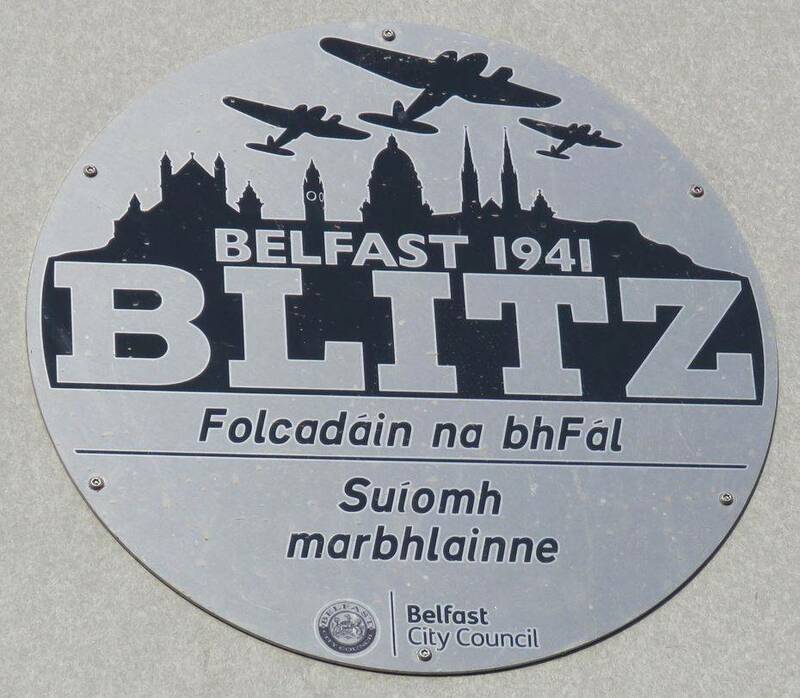 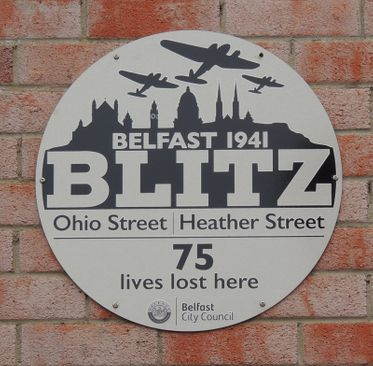 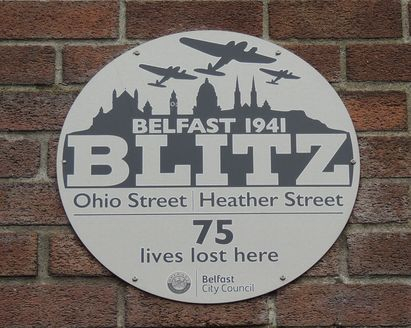 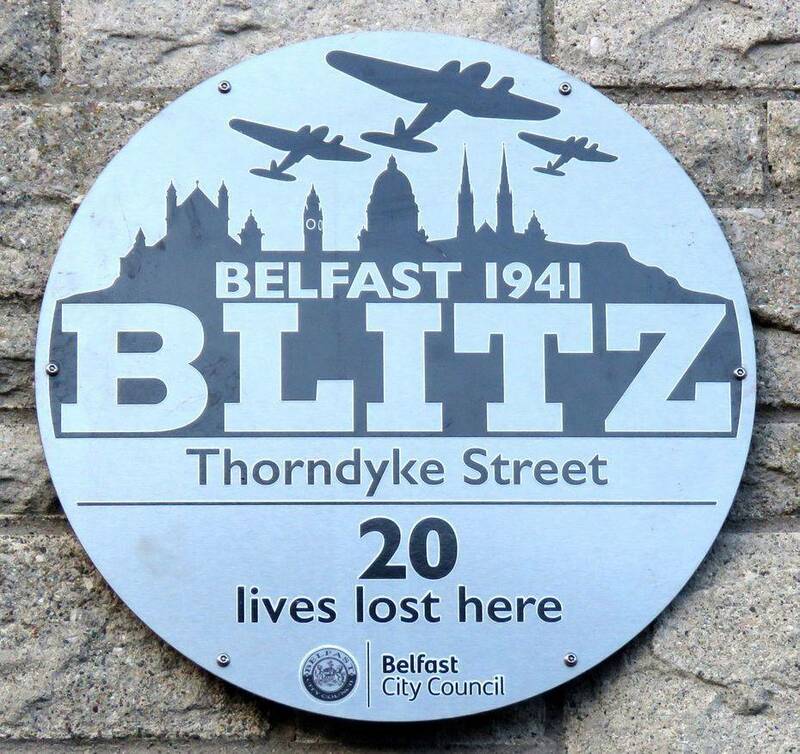 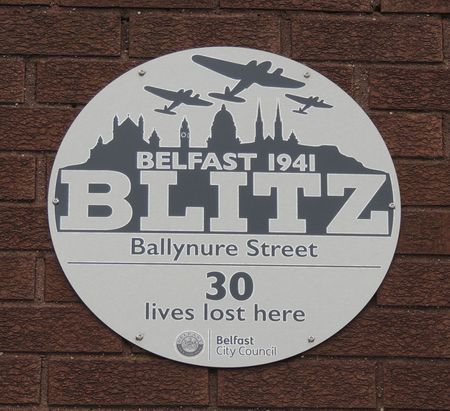 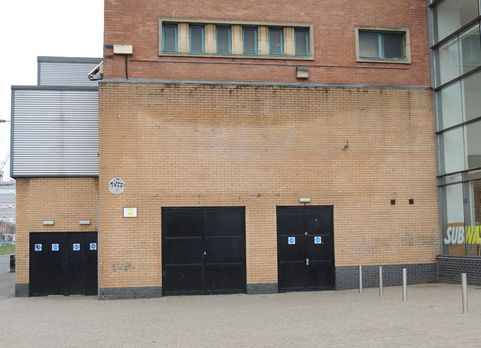 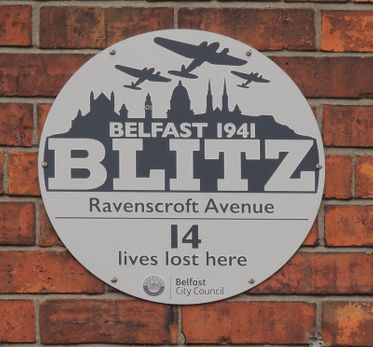 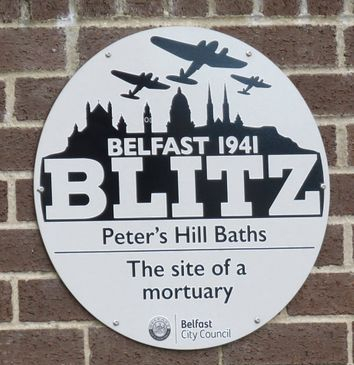 Belfast City Council have erected Plaques at various locations around the city which refer to the "Belfast Blitz". 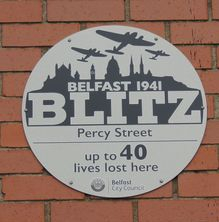 This was when Belfast was bombed by the German Luftwaffe in 1941. 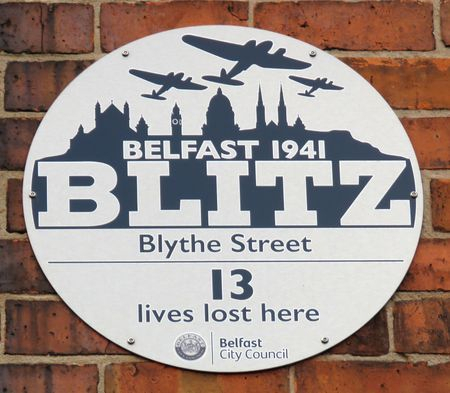 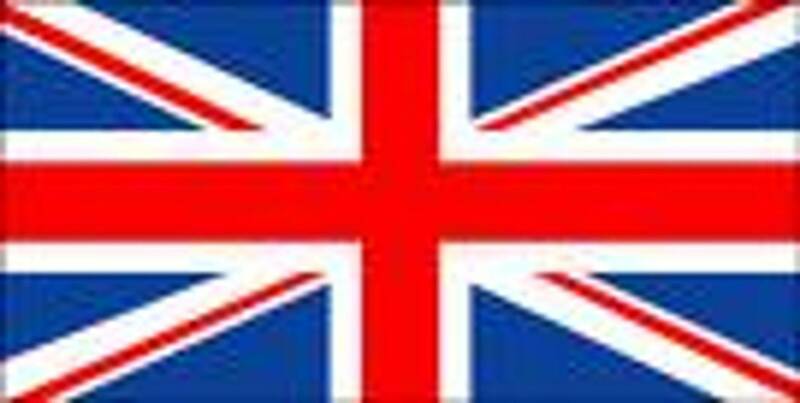 FOR LOTS OF INFORMATION AND PHOTOGRAPHS REGARDING THE BELFAST BLITZ PLEASE CLICK ON "BELFAST BLITZ THEN AND NOW" ABOVE. 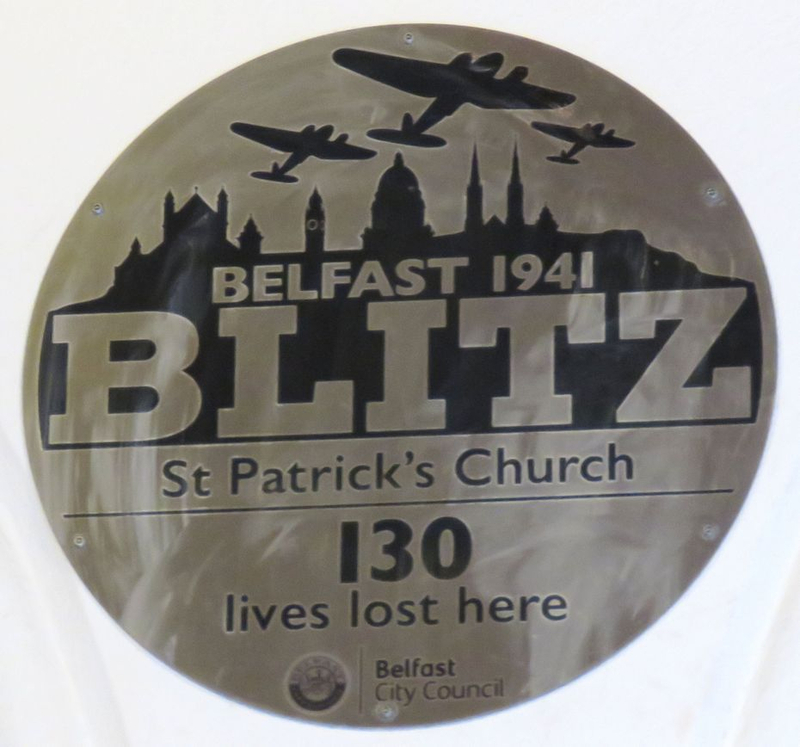 Please note that this Plaque is displayed in the Foyer of the Building so access is required to see it. 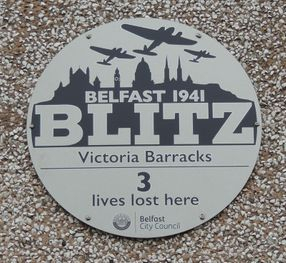 Victoria Barracks was a large Military Barracks which stood on this spot. 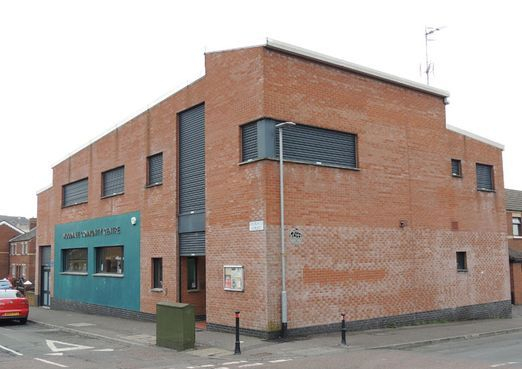 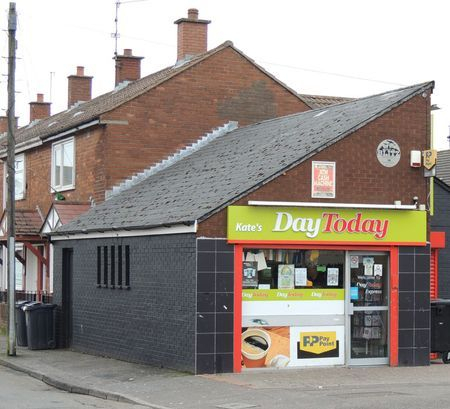 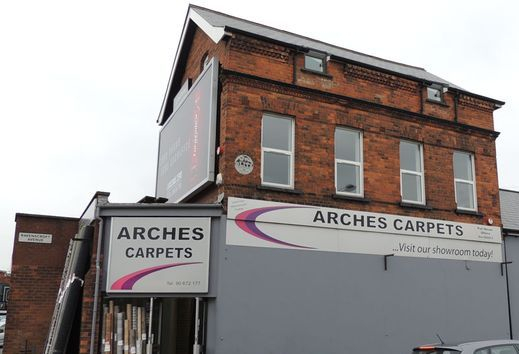 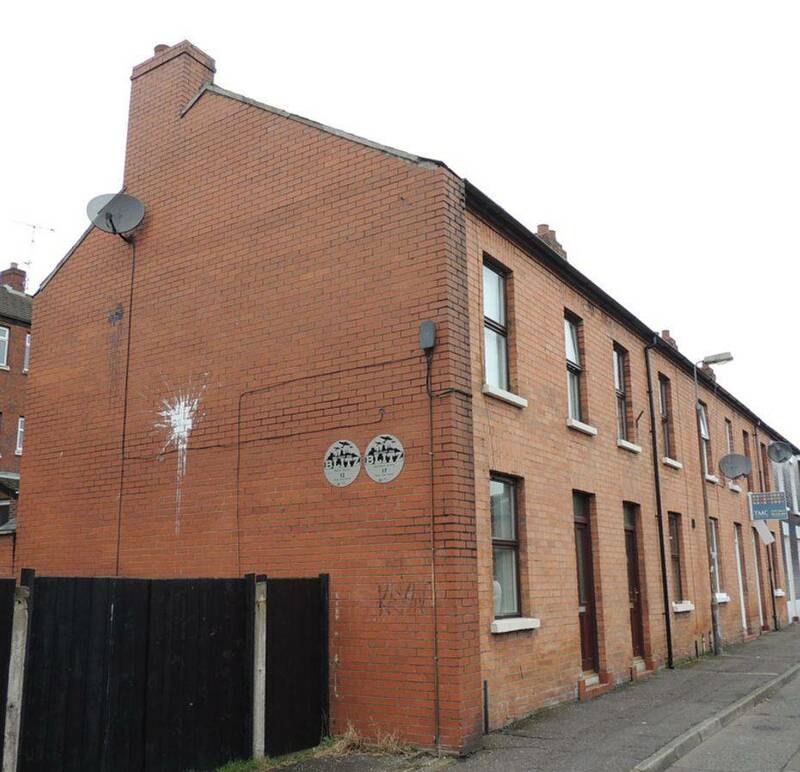 The row of houses which is called Victoria Barracks can be found at Carlisle Parade off Antrim Road. 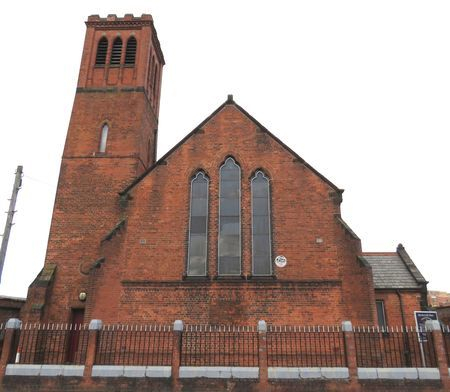 Trinity Street Church, Off Clifton Street. 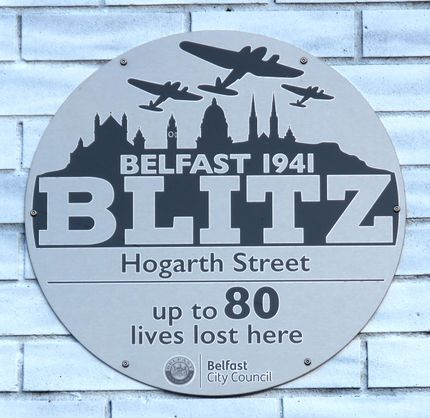 This plaque has been included within a miral about the Belfast Blitz. 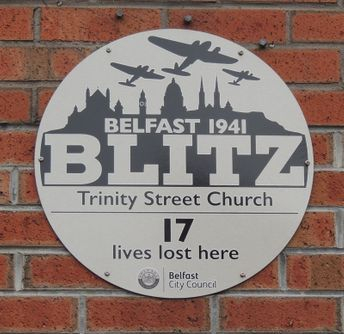 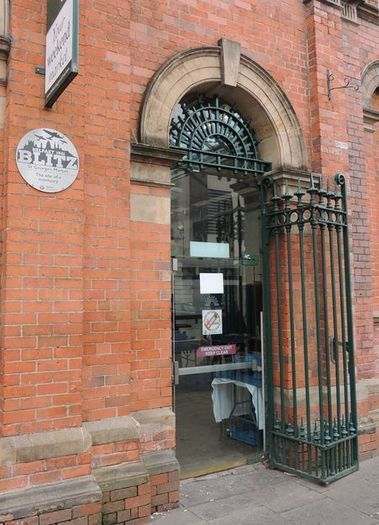 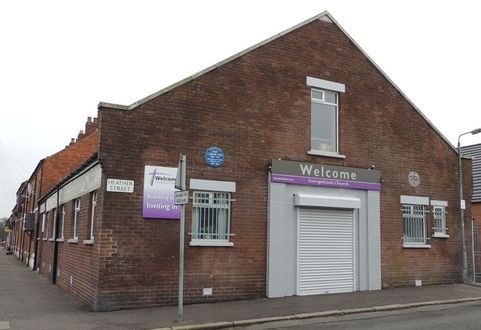 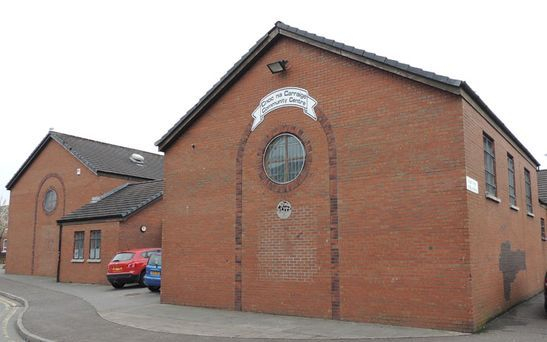 The Blythe Street plaque is on the Church in which people sheltered. 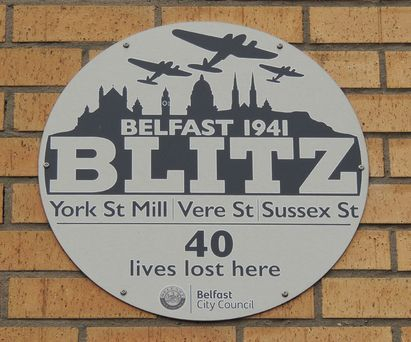 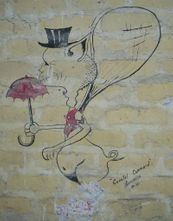 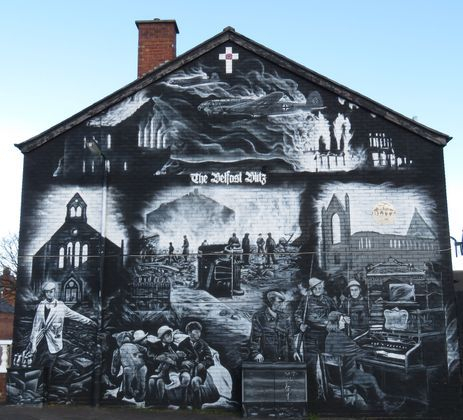 Much is made of the terrible blitz on the City of Coventry however, due to a lack of Air Defence and sufficient Air-raid shelters it was sadly the City of Belfast which suffered the most civilian fatalities in one raid which took place on the night of 15 - 16th April 1941. 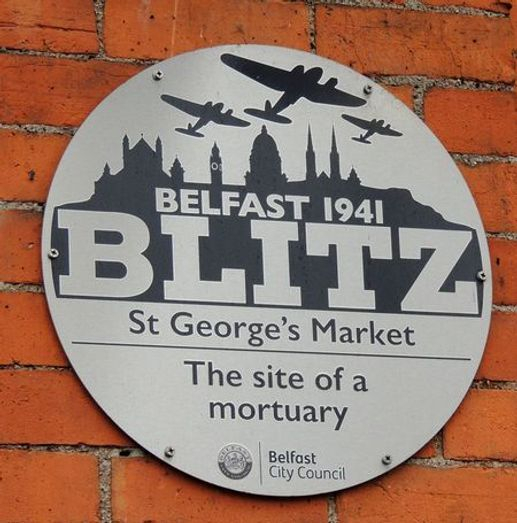 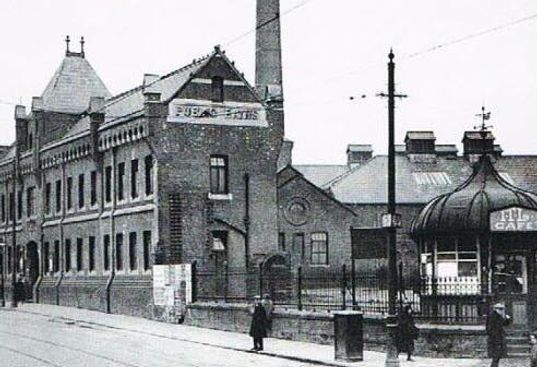 Approximately 900 people lost their lives with 255 bodies being removed to a temporary Mortuary at St George's Market at Oxford Street / Albertbridge Road / May Street. 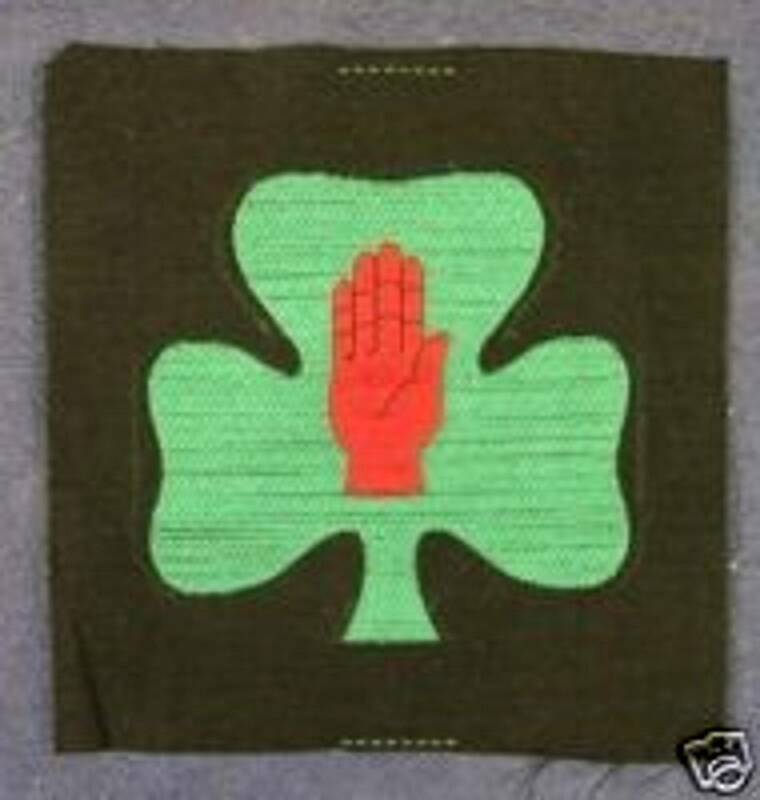 Of those brought to St Georges 151 were successfully identified and from this number 92 were taken by relatives and friends for burial.